Akdeniz Gida Pazari, 147 -149 Hoe Street, Walthamstow, E17 3AL. Deals on boxes of fruit and veg. Good range of Turkish products – cheeses, yoghurt, olives & spices, butchers, bakery and baklava counters. Off-licence too. Open everyday. Buy & Save, 253 High Street, Walthamstow, E17 7BH. Turkish supermarket near the library. Bakery and butchers counters, good for vegetables, fresh herbs, meat and fruit. Fresh Nan Bakery, 143 High Street, Walthamstow, E17 7LW (opposite Sainsbury’s). 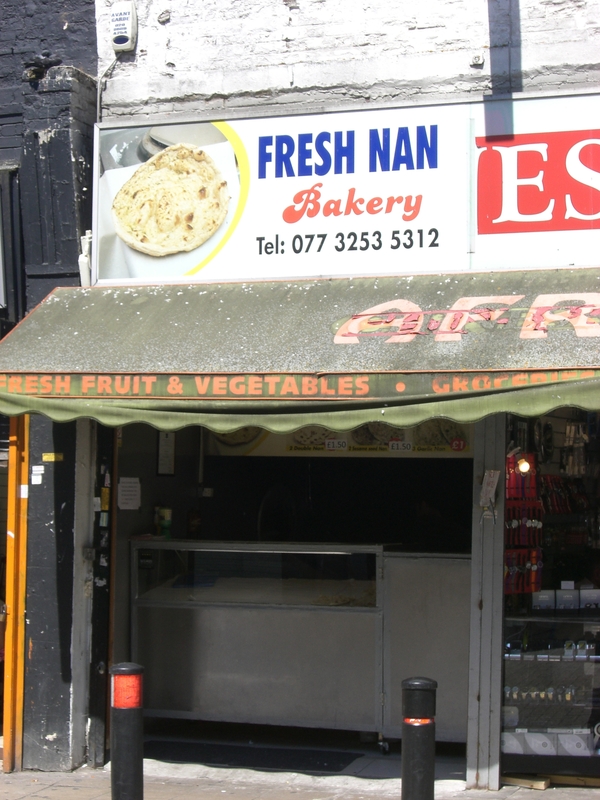 Fresh nan made before your eyes. Choice of plain, garlic, sesame or large. 4 plain nan for £1. Also sell cheap but tasty Lahmacun (thin Turkish pizza with mince meat topping & salad), Falafel wraps, Calzone folded pizza etc. 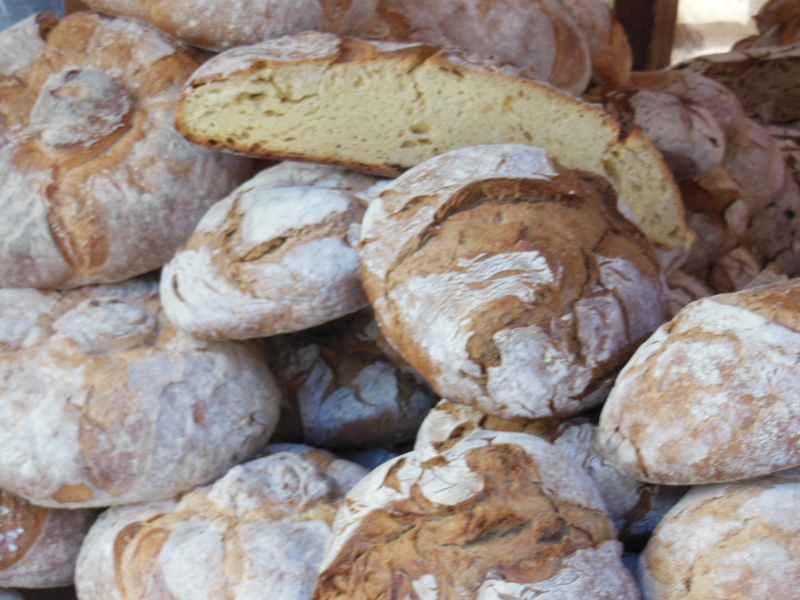 Great for snacking on the market.